talented crew with expertise across all aspects of real estate transactions. While Roost was born from a foundation of high standards and full-service offerings, they also stand loyally with their local neighborhoods. By partnering with Habitat for Humanity, Roost is committed to helping everyone have a Roost to call Home. Our roster of experienced professionals means we make serious strides in the real estate scene. You’ll be able to soak in complete peace of mind while working with us. For more than ten years, we have been making waves in the Minneapolis real estate industry. We have sold more than $175 million in real estate, we consistently rank in the top 1% of real estate agents in Minnesota, and we partner with Habitat for Humanity of the Twin Cities to pour back into our community. Our mission is to provide unmatched service for our client's real estate needs while making a social impact through each business transaction. Our unique process is how we can provide the best results time and time again. All of us at Roost pool our niche expertise and work as one team that channels its effort toward each client's goals. We offer a breath of fresh real estate air right in the heart of Minneapolis. Each member of our team will take the time to build a relationship and trust to guide and educate you through any sales or leasing process. You’ll never be left feeling unsure or skeptical—you’ll always be among friends every step of the way. Our integrated team takes everything you crave into consideration. We know how to locate the finest properties, negotiate the best deals and keep on top of the latest market conditions, listings and developments. 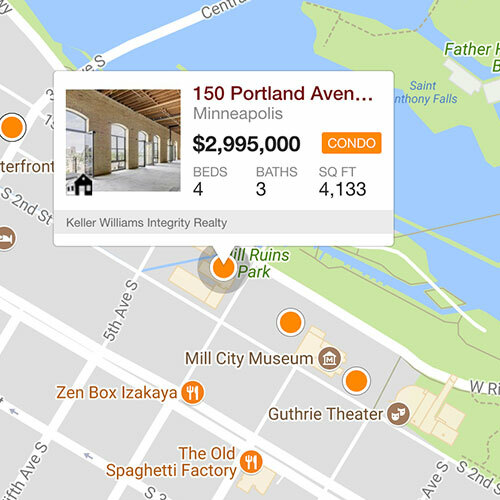 You can think of Roost as your personal real estate search engine that you can tailor to exactly what you’re looking for. Unlike many real estate agencies, Roost Real Estate is revolutionizing the industry’s standard. Instead of simply being an agency where agents work independently or even compete against one another, Roost is made up of a unified team. The integration of Minneapolis’ finest real estate experts means you’re guaranteed the best experience possible—whether you’re a buyer, seller, renter, landlord, investor or developer. Roost Real Estate has partnered with the Twin Cities Habitat for Humanity as we donate to building homes for community members. Habitat for Humanity helps select an eligible family in need, choose a site, establish financing, and provide education and empowerment for the chosen family. With our strong work ethic and unified efforts, we know this goal can be attained in our near future. When you choose Roost, you’ll feel good about knowing that you’re helping positively impact our community. You won’t have to face your real estate goals on your own when you team with Roost Real Estate. Working with people to find their dream real estate around the Twin Cities, we work together toward one goal with great results. We represent both buyers and sellers in their journeys. We will walk you through the steps required for a successful sale or purchase. As your Buyer’s Representative, we monitor market conditions to give you peace of mind. Not only will we make the process go more smoothly, but we also help you get financing, determine your budget, explore neighborhoods, and decide on features. After you have selected the home you want, we will help craft an offering price and handle the negotiations with the seller. We will look out for you, the buyer, at no cost. Check out our Buyer's Guide for helpful tools and buying advice. We know that selling a home can be overwhelming. We are here to help. We will walk through every step with you, from market analysis to home staging to advertisements using our unique marketing approach. Furthermore, we will help negotiate the best price the market will allow. We’ll help you through the closing process to make sure that your real estate transaction is a positive and profitable experience. See our Seller's Guide to get your Free Home Evaluation, or contact us to get the process started. Roost looks out for you, the buyer or seller. Our past clients agree. We are one of the highest-rated real estate companies in Downtown Minneapolis and for good reason. After working with us, clients have amazing things to say about their experience. Roost has a stellar 5-star rating on Google. Our clients believe the “team at Roost are the smartest, most authentic and honest agents in the business.” Clients love that our agents are “patient while being very efficient” and “honestly rockstars, above and beyond.” We are proud of how highly our clients think of us. We are on Facebook, and we have an A+ rating on the Better Business Bureau. Wherever you look, you will find rave reviews. We care about our clients, and it shows. Our clients are the reason we are in the business. We haven’t done our job if our clients aren’t satisfied, and the reviews prove that. Be a part of creating a positive social impact while finding the home of your dreams. Our passionate team members will help with all your real estate needs while making you feel like you’re among friends. We do more than navigate the rocky road of real estate—we understand what it takes to do good for the community we love. Roost has spent years working towards becoming the best in the business. We pride ourselves in having the most accomplished professionals in the Twin Cities. Whether you are a buyer, seller, landlord, renter, investor, or developer in the Minneapolis area, we provide unbeatable service while benefiting our community. At Roost, we have an incredible group of individuals with unique skill sets. Each area comes together, working in perfect harmony to reach the client’s goals. We focus on building relationships while supporting our clients. Let Roost help you find the perfect home and steer clear of any headaches on the way. We have the experience needed to ensure a smooth process that results in your dream home in the greatest city in the country. Team with Roost today and experience real estate like you never have before. Call or come in today. We’d love to talk real estate or just to get to know you. See you soon.